Meetings for the society are held on the 2nd Saturday of each of the following months (January, March, May, July, September and November) from 10am – 12pm (unless otherwise scheduled). Meetings will be held at the North Carolina Botanical Gardens room 106 (100 Old Mason Farm Road) in Chapel Hill unless otherwise indicated. For directions please go to ncbg.unc.edu. Check out the Meeting Archives to see some photos and notes from our past meetings. Participants are encouraged to bring samples so that members can have first hand experience with the materials. May 19 – Lecture, Demonstration conducted by Liz Haywood-Sullivan. Opening reception for the Statewide Exhibition, 6pm-8pm. The Art Shop, Greensboro. July 14 – Abstract Panel Discussion with Laura Pollak, Addren Doss and Vinita Jain. These outstanding artists will explain how they approach, develop and evaluate their abstract paintings. “Abstract paintings are like a good work of fiction, you take reality and mix in imagination to create a uniquely personal view of your world.” – Laura Pollak. Botanical Gardens. 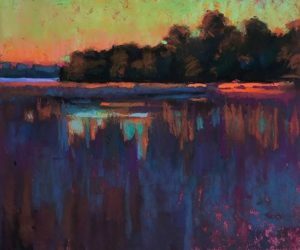 November 3 – STROKES OF COLOR Pastel Demonstration by Anne Strutz. 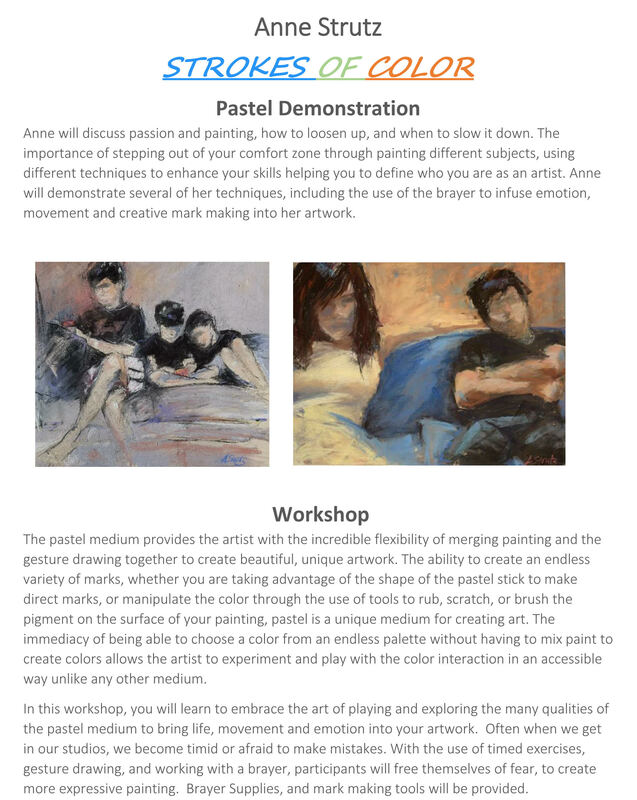 Anne will discuss passion and painting, how to loosen up, and when to slow it down. 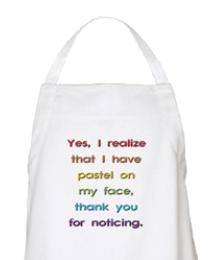 The importance of stepping out of your comfort zone through painting different subjects, using different techniques to enhance your skills helping you to define who you are as an artist. Anne will demonstrate several of her techniques, including the use of the brayer to infuse emotion, movement and creative mark making into her artwork. December 15 – Holiday Party!